Perfecting Bead Embroidery is dependent on the proper icing consistency. Learn about the different icing consistencies, and how to achieve them, here. If you want to learn how to make your own royal icing roses click on the picture. 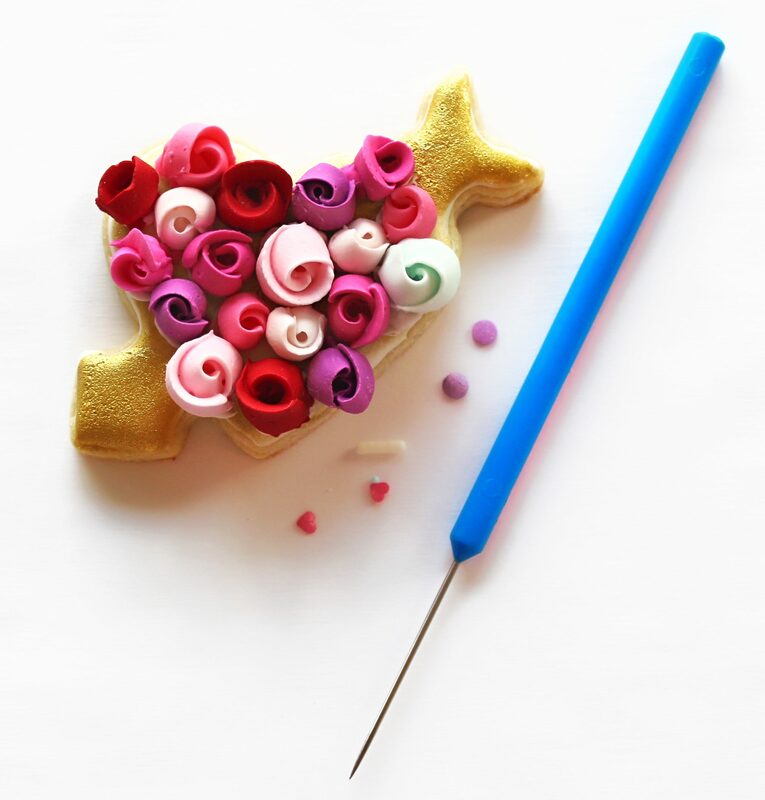 If you don’t have the time to (or feel like) preparing your own icing roses, you can purchase them here. Remember, practice makes perfect! Leave any questions in the comments section.